Nicholas Orme is a leading English historian: the author of nearly thirty books on a notably wide range of topics including religion, childhood, schools, hospitals, social history, literature, and sport. His classic study of medieval children has been widely praised, and he has worked and published on the history of cathedrals for many years. He is an emeritus professor of history of Exeter University and has been elected as a corresponding fellow of the Medieval Academy of America. 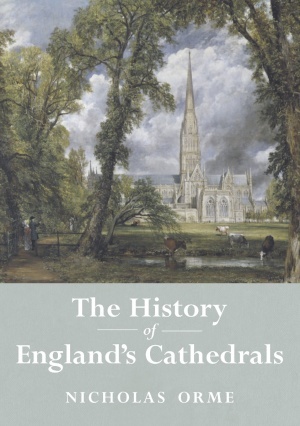 The Cathedrals of England are institutions older than the realm itself, and are perhaps more cherished and flourishing now than they have ever been, as this richly enjoyable volume makes clear. There can be no-one better qualified than Nicholas Orme to present the full range of their long history. This book is published outside North America by Impress Books.